Suspicions exist that most of the deaths may not even have been warranted. The Catholic Church of Philippines has stepped up its stance against the mass killings happening in the name of a major crackdown on drugs. The widespread killings commenced ever since Philippines president Rodrigo Duterte launched an offensive against drug dealers and others involved in the drug business. The massive attack on the drug business has been ongoing for the last 16 months, and the Catholic Church’s leaders have repeatedly appealed to authorities to end the widespread carnage. 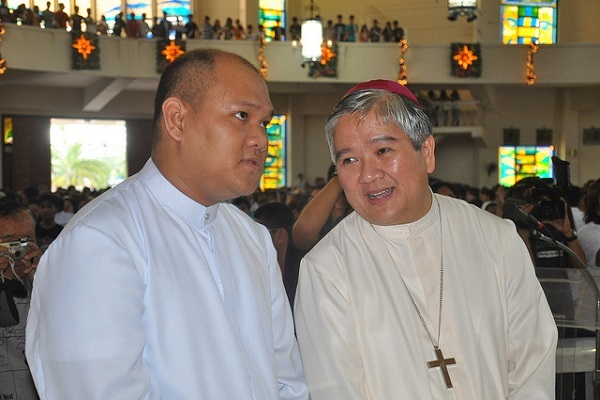 The Catholic Bishops’ Conference of the Philippines, under the leadership of Archbishop Socrates Villegas, has launched a new prayer campaign to stop the killings, with an aim to “heal the nation and stop the killings.” Church leaders have requested the Catholics of the nation to pray the Rosary every day for 33 days up to the Feast of the Immaculate Conception, an important day in the Catholic Church. Archbishop Villegas called on the faithful to choose peace over war, and to stop the violence that is literally tearing the nation apart. Presidential spokesman Harry Roque said that the government welcomes criticism and contrary views, but has maintained that the president does not tolerate senseless killings. Himself a human rights activist, Roque reiterated that the president has been clear about dealing with unauthorized and illegal killings would be thoroughly investigated and dealt with in the right manner. That said, he also welcomed the Catholic church to work closely with the government to rehabilitate drug addicts and to help the President eliminate the problem of drugs in the Philippines. Following a 40-day ringing of bells together with the lighting of candles in the memory of those who lost their lives in the crackdown, the Archbishop offered mass for the families of those who died at a church where a group of nuns had saved mutineers from the soldiers that were attacking them.